Similarly, when citizens rise up en masse to demand a realignment of their economy, as happened with the Occupy Wall Street movement, first the public relations masterminds dismiss them as an unhinged gathering of smelly hippies, followed by their violent eviction in the middle of the night, with military precision, by the Praetorian Guard of the kleptocracy. In Manhattan, the Praetorian Guard (NYPD) has a high-tech surveillance center mutually staffed by cops and Wall Street personnel – and mainstream media find nothing unusual about this. Hudson is clearly on to something. The U.S. seems to be crashing like clockwork every 8 years with the crashes gaining in intensity. The 2000 dot.com crash wiped $4 trillion out of investment accounts while, 8 years later, the 2008 crash brought down the whole financial system, the U.S. and global economy, and it’s still producing a dead weight on economic growth. Next year will mark the eighth year since the 2008 crash and if last week’s market convulsions were any indication, we’re in for some very rough sledding. Make no mistake about it: this is a dangerous book to the status quo. It is truth-telling at its finest in America’s darkest age of entrenched lies. 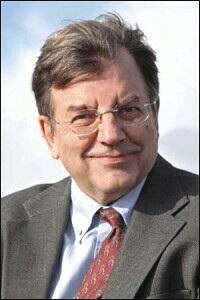 Michael Hudson has clanged the alarm bells over more continuity government from the likes of Hillary Clinton and her fellow Wall Street Democrats. He’s also scuttled the chances that Donald Trump will be able to reengineer America from “Give me your tired, your poor, your huddled masses yearning to breathe free” to the evil fortress that kicks out infants by directing hatred and blame for America’s woes to impoverished immigrants running from their own leeches. Hudson’s masterful book comes at the perfect juncture of stock market convulsions and an early election season when Americans are turning out by the tens of thousands to hear what the candidates for the Oval Office plan to do to return the wealth and the soul of America to the people. “Killing the Host” is available as an e-book at CounterPunch and in print at Amazon.com.